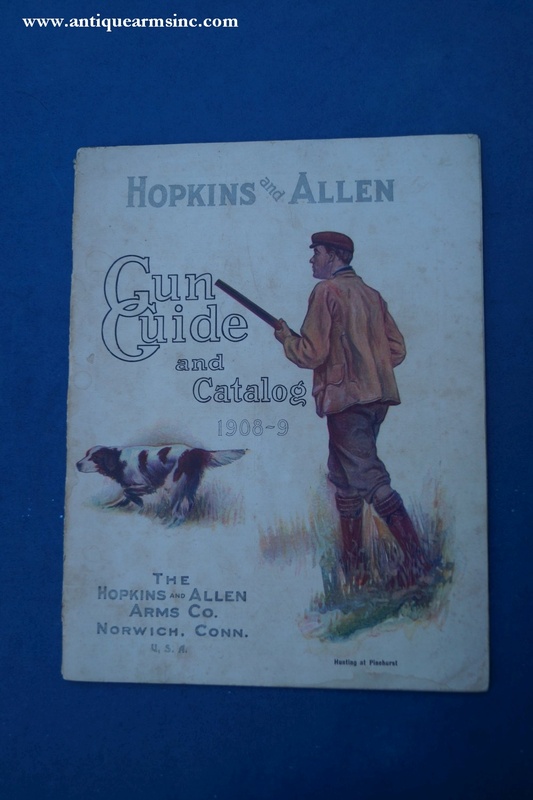 This is a fantastic and very hard to find original Hopkins and Allen Gun Guide and Catalog for the 1908 and 1909 sales years. 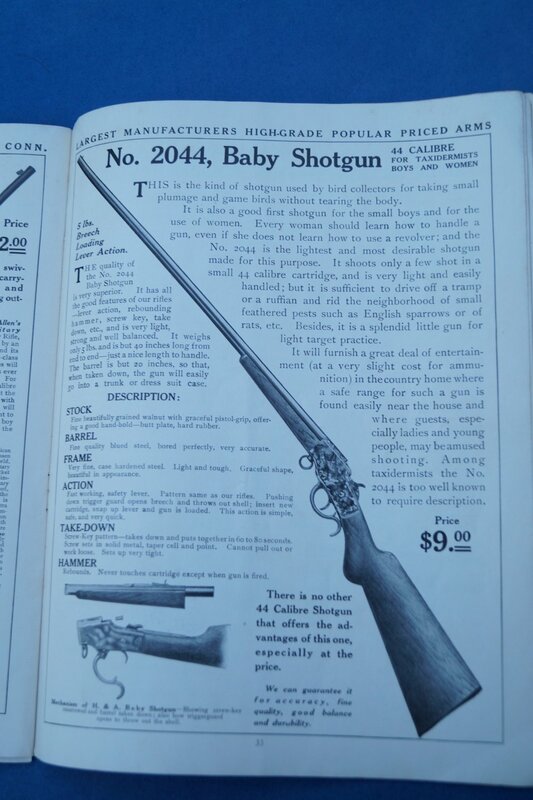 We found this at an estate sale several years ago that was full of rare and early gun books. 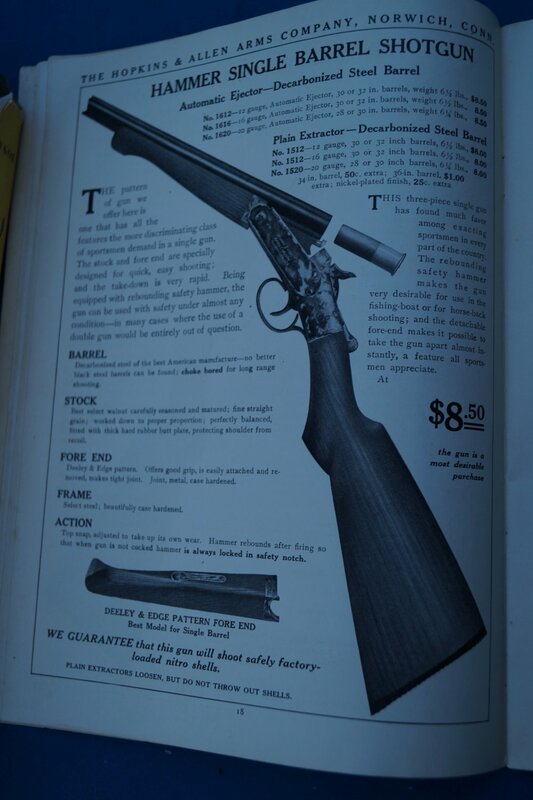 This is a nice sized catalog that measures 7-1/2" x 9-7/8" and is fifty pages counting the ad on the back cover. 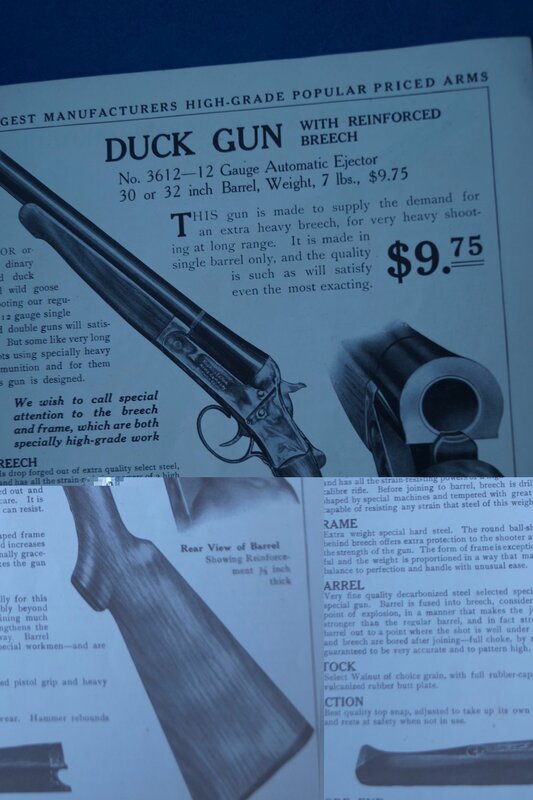 There is also an extra insert or flyer for a unique H&A 12 Gauge "Three Shot" Gun which must have been a last minute addition as it was never bound to the catalog. 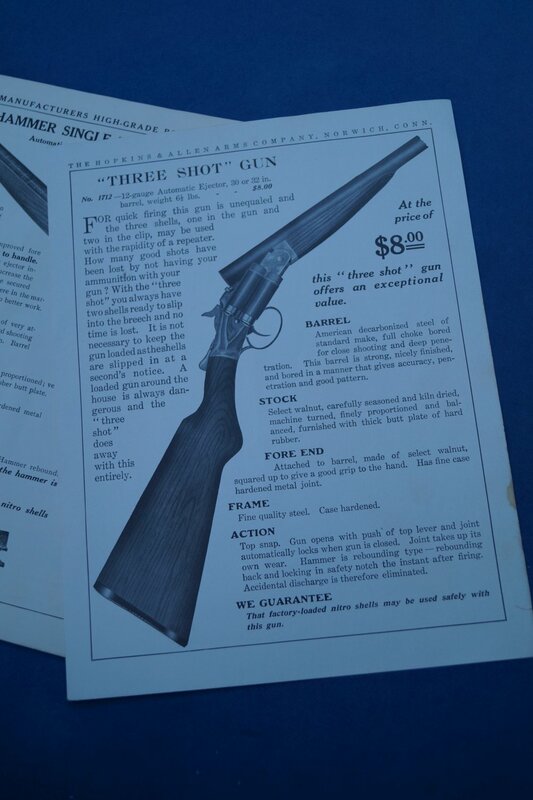 It has no page number and back is blank...definitely an insert. 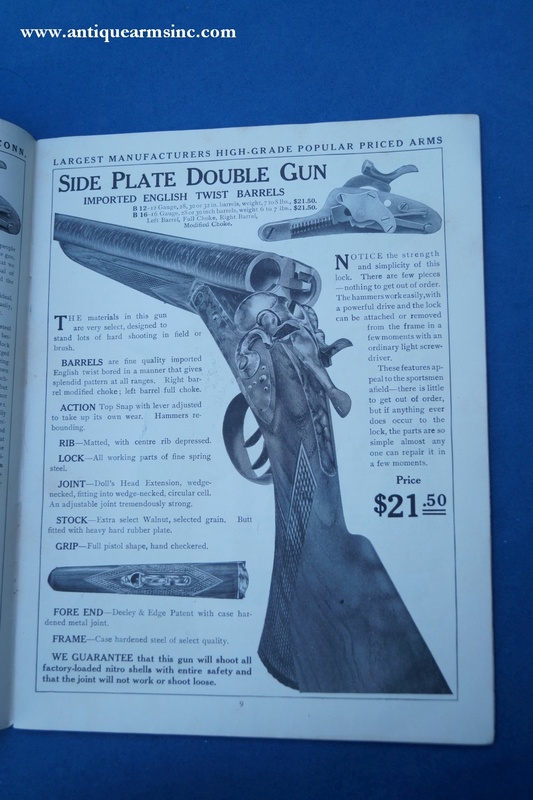 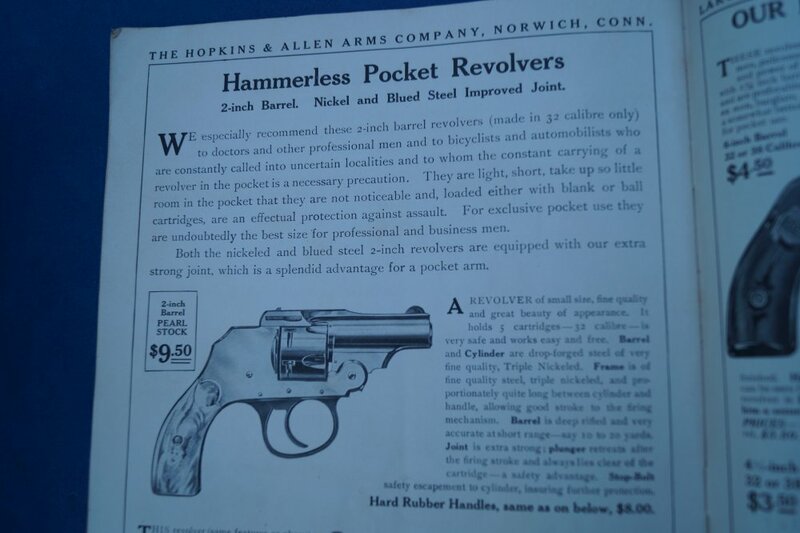 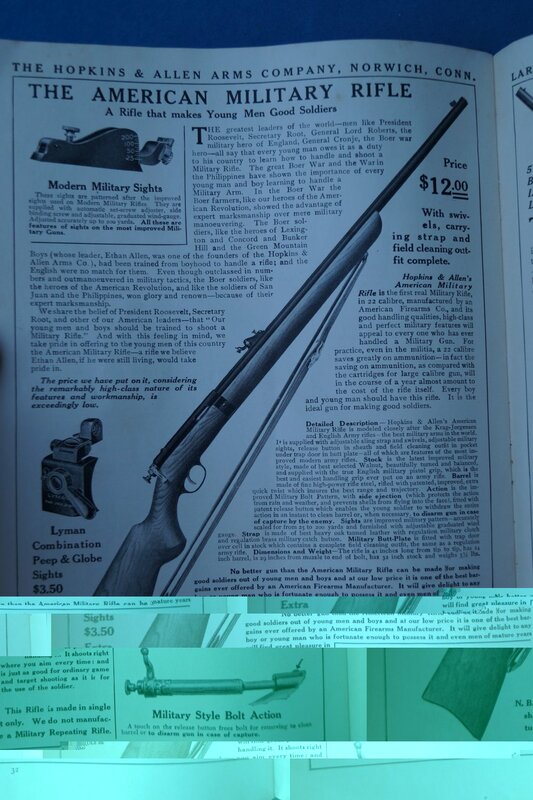 As there is surprisingly little information in the way of research on this large American manufacturer, this catalog provides a wealth of information ranging from their lines of imported double barrel shotguns, single shot shotguns, hammer and hammerless, junior boys rifles, and their endless lineup of cartridge revolvers. 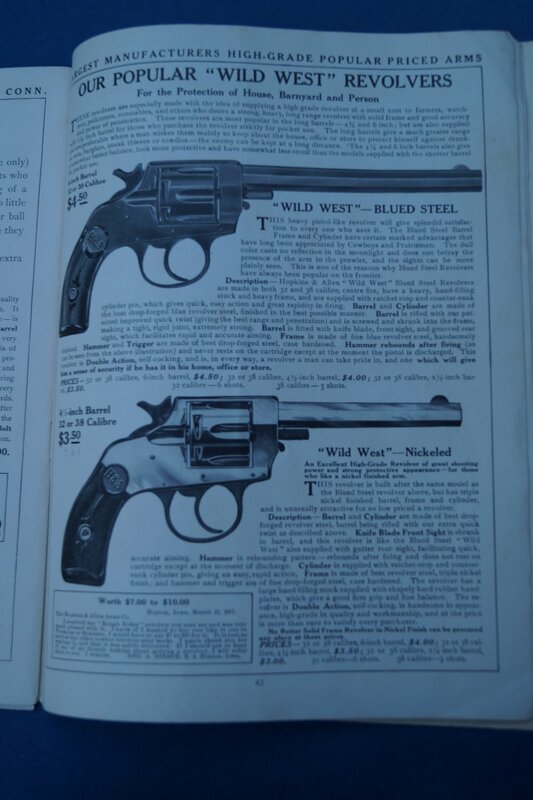 There are also customer testimonials and some very interesting company literature as to patented improvements and a section on Damascus, London Twist, and decarbonized steel barrels. 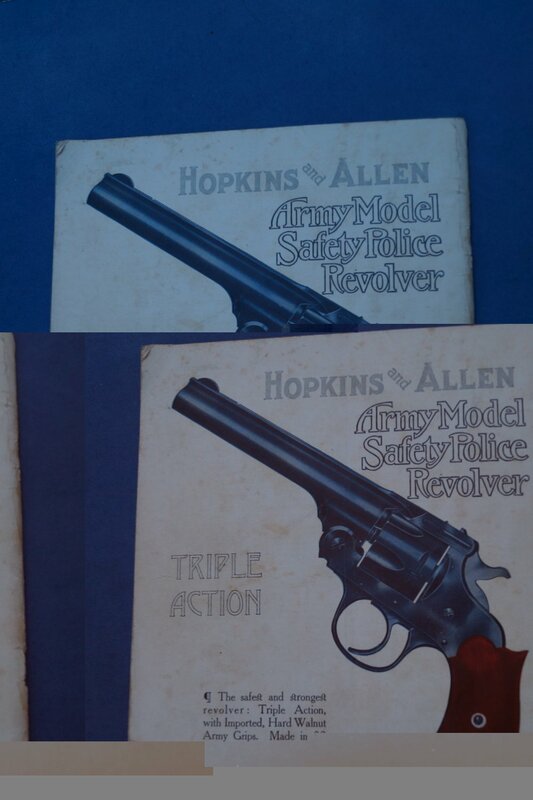 Models include, to name just a few, the Army Model Safety Police Revolver, XL Revolver, Range Model Target Pistol, Wild West Revolver, Hammerless Pocket Revolver (for Bicycles and Automobile motorists), Triple Action, Baby Shotgun, American Military Rifle, Junior, Scheutzen Rifle, Boys rifles, Hammerless Single Barrel Shotgun, Duck Gun, Hammerless Double Barrels, Hammer Double Guns, Side Plate Double Guns, etc. 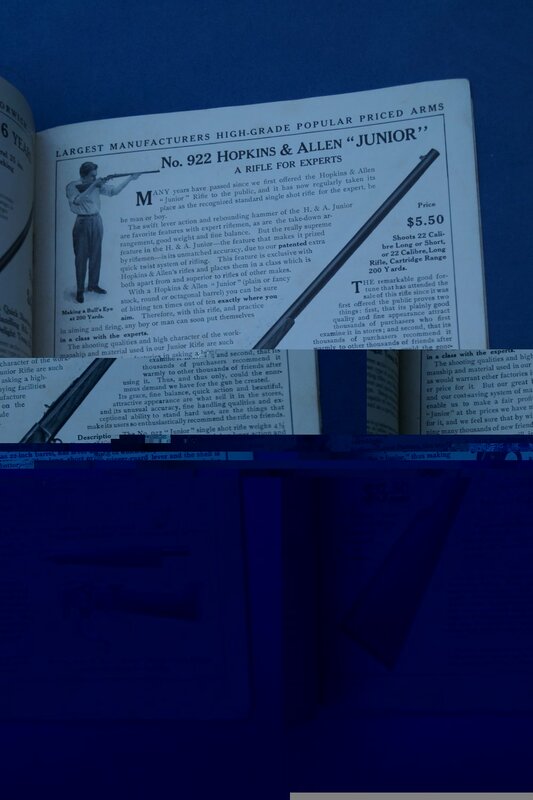 Catalog is in very good condition with some slight discoloration and a few light stains off the edges. 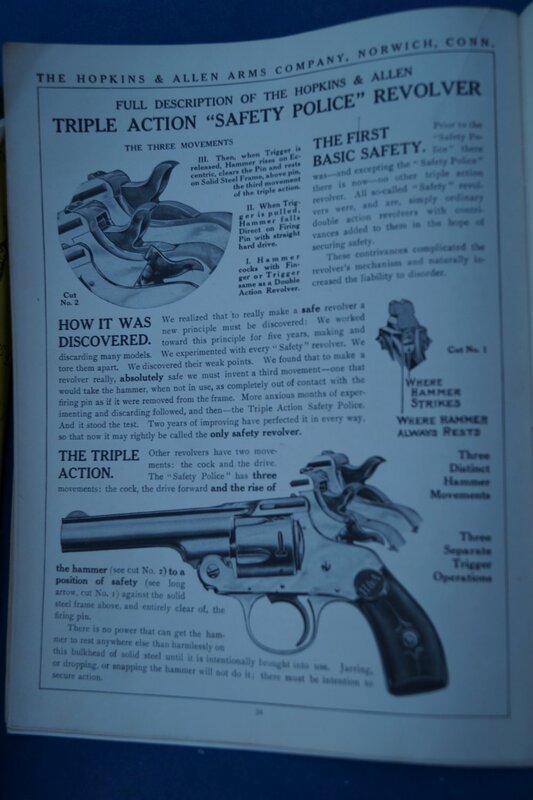 No rips, tears, binding is good, no pages appear to be missing.